A good Real Estate agent will give you a Comparative Market Analysis (CMA) of the different homes you are viewing. Compare prices of the homes based on square footage, neighborhoods, number of bedrooms, etc. Once you get your choices narrowed down to 4 or 5 homes you are ready to go view them. Do not fall into the trap of "I want to view every home in my price range". This is a real estate agents worst nightmare. If you are ready to buy then you know what type of home you want to buy based on your finances, the size of your family, and personal preference (brick vs siding, formica vs granite countertops, or carpet vs tile). Once you give your agent the criteria for the type of home you are looking for your agent will search the Multiple Listing Service (MLS) to find homes that meet your criteria. Now it is time to view those homes via the computer. If you see something you do not like in the photo chances are you won't like the home in person so eliminate it at that point. The biggest plus to any home purchase is to get pre-qualified "PRIOR" to looking for a home. How do you or your agent know how much home you can afford if you have not talked to a lender? The worse thing you can do as a buyer is to view homes without getting pre-qualified. Think about it! If you have no maximum price that you can afford to pay then what homes do you go look at? It is very disheartening for an agent and you the buyer to fall in love with the perfect home only to find out you are not pre-approved that a home at that price. Please follow these guidelines so you do not sit yourself and your family up for failure from the outset. A good real estate agent will walk you through the process and should not take you out to view homes you cannot afford to purchase. Be upfront and honest with your agent. The more detailed you can get on your criteria the more they are able to help you find the perfect home. However, if the agent does not know how much home you can afford you'll end up starting over or not buying at all when you find the perfect home and do not get approved for financing. 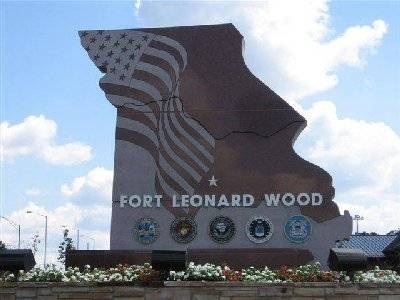 Good luck in your home search and call David Holbrook at Realty Executives Fort Leonard Wood to assist in your search. If you are looking for a home or condo at the lake we can assist you there also. Do you lake search Holbrook Lake Homes or call me at 573-528-7642.